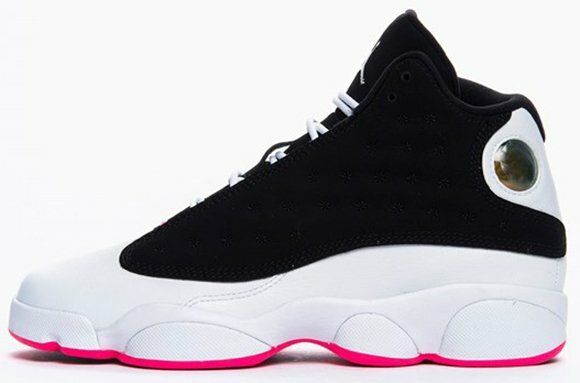 It’s not every day that a pair of Air Jordan’s goes under the radar, especially a signature model. 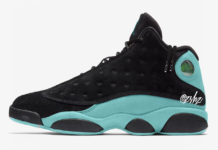 Today is one of those rare days where we have found out JB is releasing a GS Air Jordan 13 that is already sold out at one retailer. 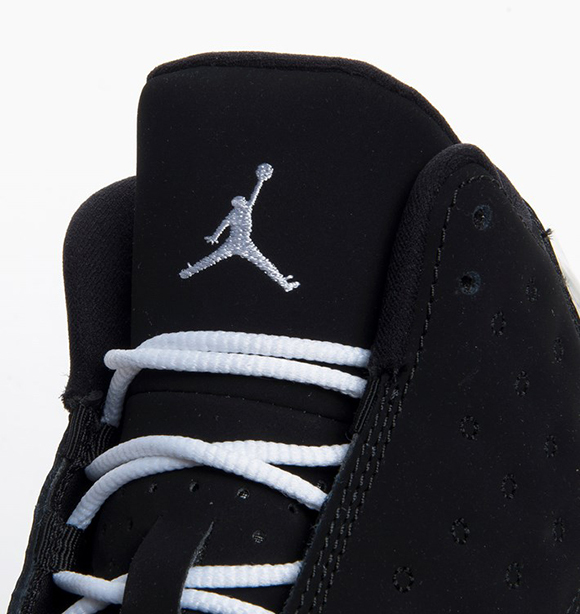 This Air Jordan 13 features black on the uppers and tongue, while white is blasted on the mudguard, midsole and heel. 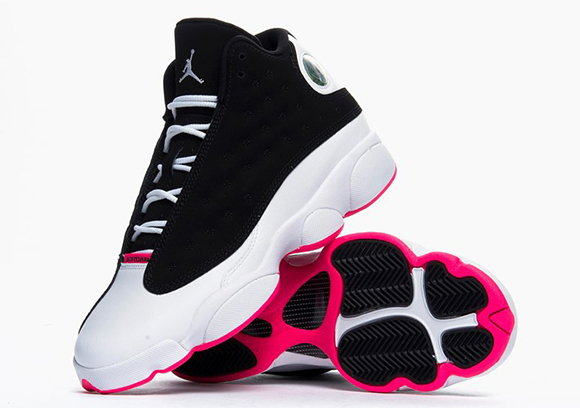 What makes the sneakers pop is the use of hyper pink on the outsole and above the toe box. 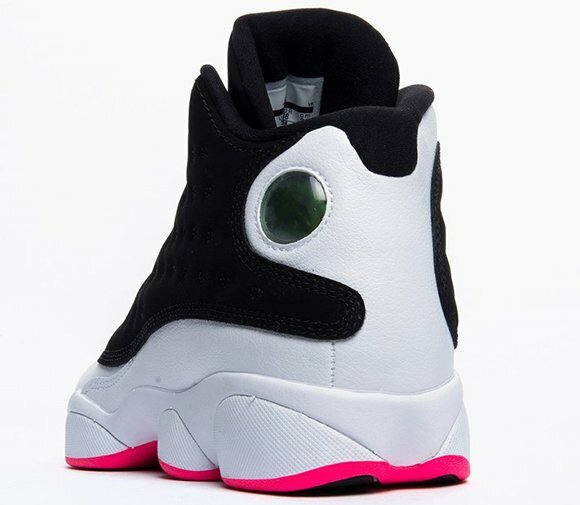 In Europe, the GS Air Jordan 13 Black/Hyper Pink-White has released. 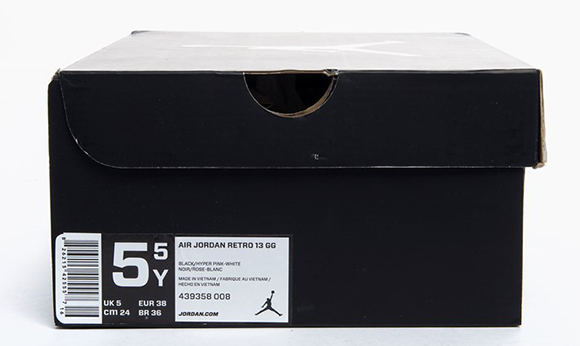 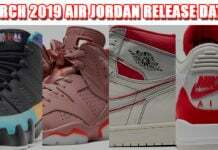 Caliroots was one store that received a shipment but like previously stated has sold out. 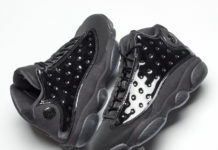 They should be releasing in the states soon.